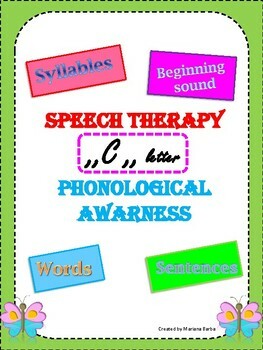 The material contain printable worksheets and activities that can be used in speech therapy to develop phonological awarness. 1. 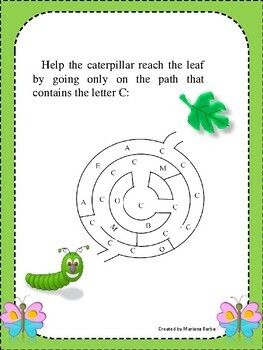 Help the caterpillar reach the leaf by going only on the path that contains the letter C.
2. Circle the words that begin with C.
3. How many syllables are?Color the square that indicates the correct number of syllables. 4. The butterfly goes only to the flowers containing images whose names start with the sound "C". Show them to the butterfly, who are these, drawing winding lines. 5. 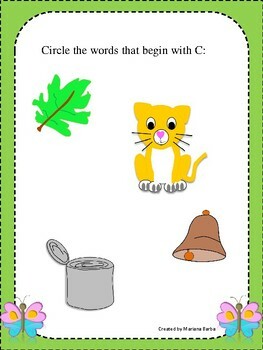 Draw an animal which starts with the letter "C”. 6. 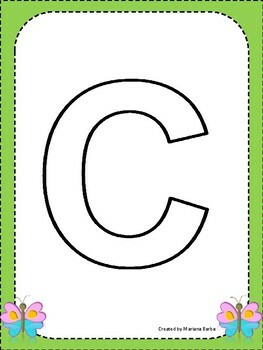 Recognize and color the letter ,,C,,. 7. Put the letter "C" in the free space and read the words. 8. Divide the words in to syllables and write them in the table. 9. Complete the sentences with a suitable word from the dates given.